As has been covered ad nauseam, there is no scenario where we repeal the 2nd Amendment and get a peaceful, violence-free society in return. Every statistic shows that the Pandora’s box we would open in the absence of civilian gun ownership would be far more destructive and atrocious than many would realize. Chicago would no longer be an isolated incident. But thinking past repeal isn’t exactly something the gun grabbers have thought a lot on. They see the cherry-picked data from other countries and assume the best will happen here. As misguided and ridiculous as these talking points from anti-gun advocates may be, these at least open up conversations and debates that could help correct the record. Here’s the disturbing part about this from my point of view. 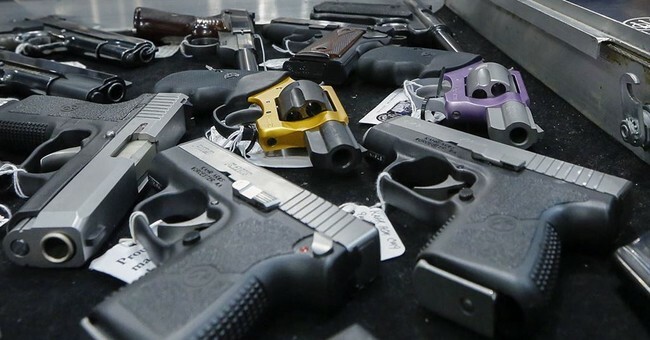 Pro-gun advocates have put up facts and figures about the benefits of gun ownership for years, as well as exposed the pitfalls of gun bans or restrictions during that time as well. The bottom line is that gun ownership is a societal boon. Oddly, the left either ignores this data by exemption in their arguments or their ignorance despite the data being available, and pushes for the restriction or elimination of rights in full view of the warning signs. They call the sounding of the alarms that happens when they begin to talk of restrictions and bans “paranoia,” and in the face of the data tell us that they do not wish to ban guns. This is excusable for many in the general population who have neither the time nor the energy to research the topic, and are misled by a very convincing mainstream media. However, for media, activist groups, and the politicians who continue to push for bans while lying to our faces about their intention in pure view of the data…it’s nefarious. These people are straight up pushing tyranny. They may call it a different name, and they may consider their intent good, but this is the kind of tyranny C.S. Lewis accurately pointed out as being the worst kind. The kind practiced for “the good of its victims.” The kind that never stops because they’re pushing this tyranny with the backing of their own conscience. They are actively lying with permission from their definition of morality. However, with their celebration of Stevens’ New York Times piece, they have now ceded this ground. They stabbed their lie in the back. This is good news for the rest of us. It’s much easier to confront the man behind the curtain when you can see him.